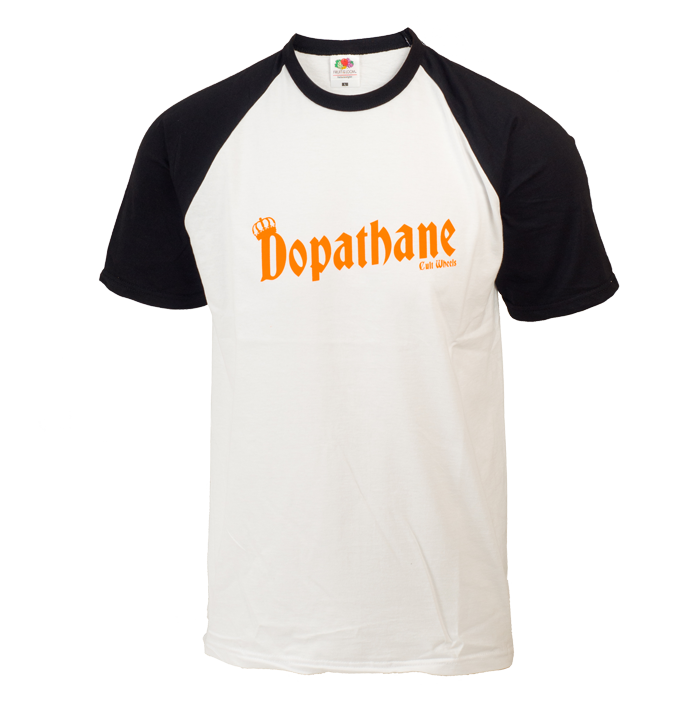 To celebrate the perfection of our revolutionary “Dopathane” formula, we have created this subtle blend of threads and ink so that you too can bear the standard of The Cult’s finest urethane yet. Excessive donning of this Tshirt may increase the sensitivity of the wearer’s Glissade Steeze Gland. M,L,XL, White/Black Raglan only, hand screened by skaters for skaters.